Sometimes we get our hands on a new gadget that we just can’t wait to tell you about. The iSpy Horse Cam is definitely one of those items! 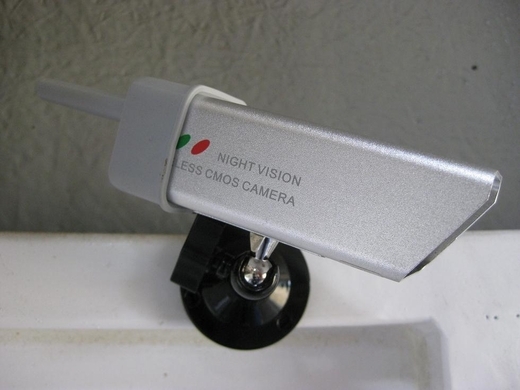 The iSpy camera system was originally developed to be used as a safety monitor while trailering horses, allowing the driver to keep an eye on the inside of the trailer during the ride. But horse owners quickly realized that by slapping it on the back of their truck, it became a great rear-view camera they could use when hitching up the trailer! 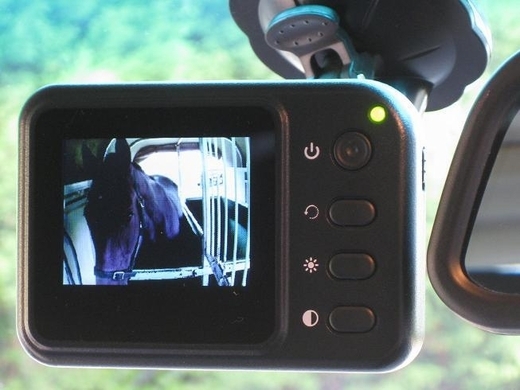 You can also use the iSpy Horse Cam to keep an eye on horses tied at the trailer, inside their stalls, to monitor mares read to foal and even for turnout. Maybe you need to leep an eye on kids or dogs? With a viewing distance of 300 feet, the possibilities are endless! The very best thing about the iSpy Horse Cam is how easy it is to use – just take it out of the box, charge it, turn it on, stick the camera to something metal (it’s magnetic! ), and you’re good to go. You don’t have to know anything about electronics, and there’s nothing to install – it’s one of those, “anyone can do it” products. Plus it’s waterproof, so you don’t have to worry about weather and has night vision, so you don’t have to worry about dark! For your peace of mind and the safety of everyone on your farm, pick up the iSpy Horse Cam today and start the the new year right! Questions or comments? Need some more tips? No matter what it is, Mary’s is ready to help you out. Our savvy buyers love doling out advice on their very favorite topics, so leave us a note in the comments or give us a call at 1.800.551.6279. We can’t wait to hear from you! My horse trailer is ALL aluminum! Any ideas for mounting on the aluminum?? Thanks for your question, Susan! The unit also comes with a velcro mount so that anyone can use it no matter what material their trailer is made out of.